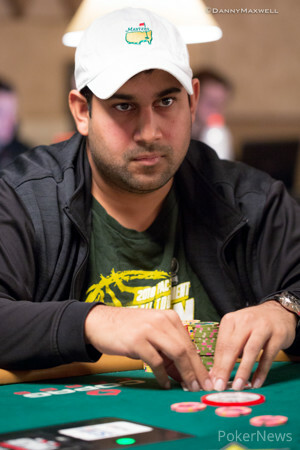 Ankush Mandavia raised to 480,000 leaving himself with only 60,000 behind. Todd Ivens called and the two saw a flop. The flop came down and Mandavia took his time with only 60,000 behind. 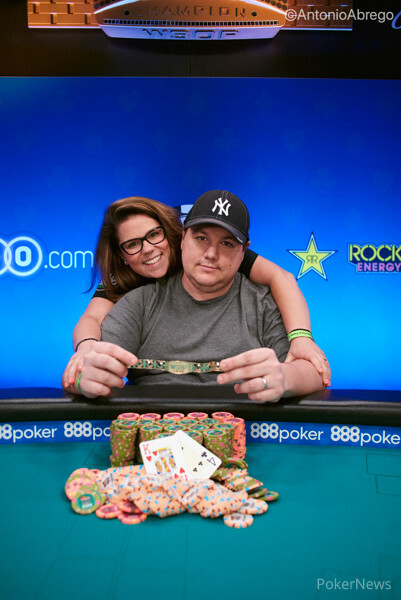 Mike Watson called the clock on Mandavia and right as the countdown started he bet 30,000. Ivens put him immediately all in and Mike Watson asked the floor staff when he was allowed to call the clock. Mandavia ended up calling within the time and they opened up. The board ran out with the turn and the river and Mandavia got sent to the rail in 13th place.